There are still arenas for stakes pacers and trotters this late in the season and plenty of money is hanging in the balance, even if divisional titles are quite settled by now. Among the programs that present an abundance of great overnight wagering opportunities, three tracks give the weekend features that top the marquees. We will take a look at all of the action, which gives us plenty to pick and choose where and when to support some strong outsiders that buoy our bankrolls. The chill is in the air but the heat is still on as the year dwindles. 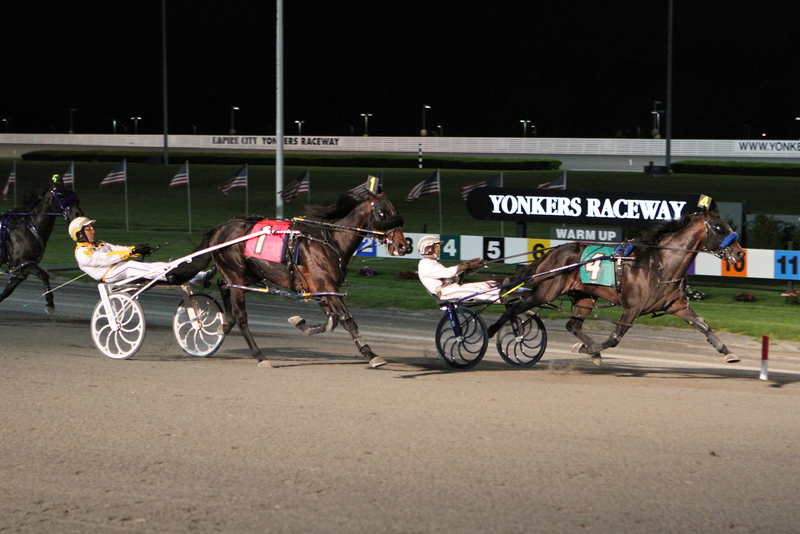 Saturday night’s $415,820 Messenger Stakes is the feature at Yonkers Raceway. On Nov. 10, soph-colt pacers go another round, this time on the half mile, with the early favorite Pet Rock. Pet Rock already recorded a Yonkers stakes-record mile when he won the $306,204 Art Rooney Pace in 1:51. For our followers, he paid 4-1 that evening, a generous price. Eight three-year-old olds will contest the Messenger Stakes. Hillbilly Hanover, who came into the Breeders Crown Final on the upswing after missing a head to Sweet Lou in the Tattersalls, remains winless in 19 tries for 2012 and leaves from the coveted rail for trainer Ron Burke. He is a professional pacer, though, having earned more money this season ($236,503) than any winless horse. 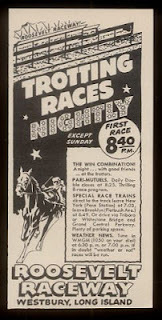 Still dull since surgery, A Rocknroll Dance is back for redemption, as is Bolt the Duer, whose sole victory of note was taking advantage of a flaming three-quarters by “Dance” at the Meadows to win in record time. The field also includes a quartet of New York-breds, led by Major Bombay: Domethatagain, Lawgiver Hanover and Steelhead Hanover. While Pet Rock gets major attention and other popular names from the season attract dollars, Major Bombay will be left with a juicy price. We caught him once this way, earlier in the season, against state-breds. He won convincingly on this oval and paid $18. We will try him again, as the overlay in this weary crowd. 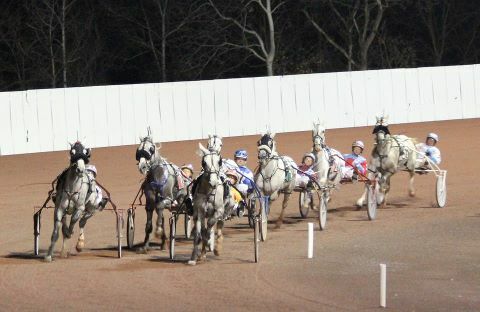 The stakes companion event that evening is the $229,440 Lady Maud Pace for three-year-old filly pacers. The field looks like this: Bettor B Lucky, Handsoffmycookie, Ramalama, Economy Terror, Major Look, Romantic Moment and Rockaround Sue. Romantic Moment, trained by Jimmy Takter, is the New York Sire Stakes champ and this season has won the three times she raced at Yonkers. She is also the division’s top filly and only a troubled trip will stop her from getting to the winner’s circle. Racing her down could possibly be the job for Economy Terror but price will be the issue. It’s your call on her. Eight American-National Stakes, each with six-digit purses, adorn the Balmoral Park program on Nov. 10. It’s a mixed group in each division, with locals and some of the season’s stakes heroes. Let’s run through the divisions. In the $113,000 frosh-filly pace the favorite, Always About Katey, may be too low to wager upon but has it all over this field. She is a product of a hot Midwest sire, Always A Virgin, who is surprisingly sixth in the nation with frosh earners. The Am-Nat frosh colt pace, worth $157,000, is chock full of locals but we like Our Dragon King, who may be the third choice, which could offer decent dollars. In the #130,000 soph-filly trot, Maven arrives from her stunning Breeders Crown win but we will back Northern Miss Hall again this week, since Maven’s victory was all flash and no style. Canadian Justice also has a chance at an upset and should be considered in all exotics. Soph-filly pacers are next, battling for the lion’s share of $145,000. How do any of these overtake American Jewel on this oval? We like Blackjack Princess to pump up an exacta and trifecta here, along with Podges Lady. Older trotters race for $180,000 next and Chapter Seven is a trot-away winner as he heads for retirement. He is the top candidate for Horse of the Year and may go one more time after this race but is under no pressure to lose among this group. This could be a watcher. Glamour-boy trotters are next for $235,000. Yes, it is the usual suspects from the division’s second string, with a few locals sprinkled in for flavor, against the number-one division champ, Market Share. The Hambletonian champ lost the Breeders Crown elim and final to a horse of the moment; he is not here and his moment is over. Market Share wins, paying nothing. Exotics are anyone’s call. Older pacers set sail for $182,000. The two best are on the outside and that gives some good footing for Foreclosure N. He is showing fiery signs of life late in this season and will be worth the price he could offer. The nightcap is for glamour-boy pacers, again featuring a mix of locals and divisional understudies. We will step out with this call: Dynamic Youth. This field is rife for an upset and this colt has been poised for a good mile, having worked hard against far better than appears in this $260,000 event. Look for Hurrikane Kingcole to do better and be in the mix. 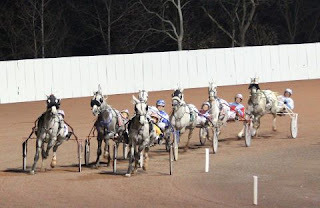 Dover Downs is open and beginning its season with the year-end stakes series, the Matrons. On Sunday, Nov. 11 there are some related events on the program. Frosh-filly trotters begin the card with a $41,375 Matron Preview where a huge favorite can be beaten by Ma Chere Hall. She comes fresh off of a stakes victory and may be able to topple the choice this time. Frosh-filly pacers go next for $53,550. The problem here is trying to beat Breeders Crown winner Somwhereovrarainbow. That hope will rest upon Offintothesunset, who has had some bad trips while being competitive with top gals before breaking her maiden. This would be quite a shock to bettors but trainer Linda Toscano’s student is getting better as becoming a sophomore nears. Frosh-colt trotters are previewed in the next Matron episode, worth $53,225. A good shot here should go to All Laid Out, sharpened in the Kindergarten after a strong showing in Kentucky. He won’t be supported well, although he has what it takes to beat Dontyouforgetit, the prohibitive favorite. In the soph-filly pace elim, worth $41, 313, the first eight finishers will make the final. Shelliscape is the gal to beat and Moonlit Dragon could be the one to steal this with a burst of speed. Shelliscape won’t get started early and perhaps could come up short if Moonlit Dragon can command the pace. The glamour-boy trot reunites a few from the division that are familiar. The $46,813 elim (first eight make the final) marks the return of Googoo Gaagaa to the arena with these true-bred trotters. “Googoo” has the outside but will be gunning for control early, for sure. With all the speed here, though, Googoo could be compromised and it could set up for My Mvp. Look for the upset to get any price worth a bet. Frosh-colt pacers go for $55,325, and we like an outside contender here: Bet The Moon. With Twilight Bonfire the probable choice, there is room enough here to watch talent be dismissed. “Moon” is a solid New York stakes contender that has a remarkable seven seconds but his two wins are strong among the 10 starts. Soph-colt pacers rev up in a $35,000 preview for the Progress Pace, Dover’s signature event. Bettor’s Edge will be a reasonable outsider and coming off a strong win will give the choices trouble. Finally, soph-filly trotters go for $49,800 in a Matron elim (first eight to the final). Here we like Cowgirl Hall. She was very game in the Breeders Crown from post 10 and may use that power to thwart foes that are right in her court, more even than the crowd will assess.